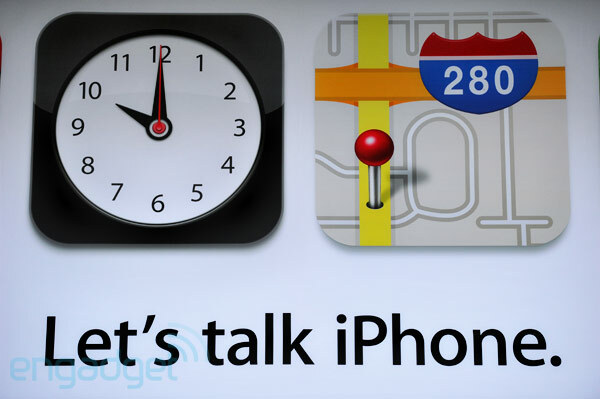 Apple’s “Let’s Talk iPhone” event round up. Apple’s highly anticipated Media event has come finally finished and its safe to say alot happened. Firstly we have the announcement of the iPhone 4S, which is to the iPhone 4G what the 3GS was to the iPhone 3G i.e as upgraded version of the iPhone 4 with an A5 chip, 8MP camera and lots more. Then we have price drops on the iPhone 4 and 3GS both of which will continue to sell and much more. There’s alot of information unveiled at the event so we’ll break it down and give you the important bits. Firstly we have the highly anticipated iPhone 4S launch, the device is coming October 14th with an A5 processor, 8MP camera, redesigned antennas and dual CDMA/GSM radios. You also get your own personal assistant, Siri with the iPhone 4S. Read more. The iPod Touch 4G will be getting a white model in 8/32/64GB models starting October 12th. Apple Nano gets a price drop to $129 and $149 for the 8/16GB versions, workout tracking capability out of the box and 16 new clocks to chose from. iOS 5 will be available October 12th, two days before iPhone 4S launch. iCloud launches the same day. Apple’s cloud based music service, iTunes match will be available for $24.99 a month, starting in the US. Support for more countries will come soon as Apple is working hard on it. iPhone 4 will be available for $99 on contract, iPhone 3GS for free. iPhone 4 is also coming to Sprint alongside the iPhone 4s. Two new Apps for iOS. Find My Friends and Cards. Read more. Airplay mirroring will be coming to the iPhone 4S aswell. You can now connect your 4S to a HDTV and enjoy it on the bigscreen.